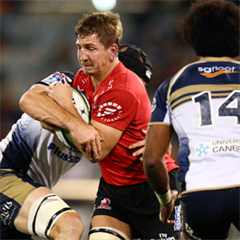 Cape Town - The seven-time champion Crusaders have put the Sharks to the sword in their Super Rugby clash in Durban on Saturday. The Crusaders won 52-10 after leading 28-3 at half-time. The Crusaders scored eight tries through scrumhalf Andrew Ellis, fullback Israel Dagg, centres Kieron Fonotia and Ryan Crotty, flyhalf Colin Slade, wing David Havili, flank Matt Todd and replacement Tom Taylor. Slade was also on target with five conversions for a personal haul of 15 points, while Taylor converted his own try. 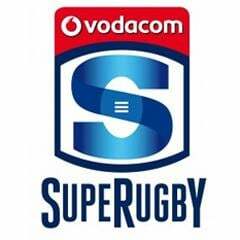 The Sharks replied with a try by wing Odwa Ndungane and conversion by replacement No 10 Fred Zeilinga and a penalty by Patrick Lambie. At one stage the Crusaders were down to 12 men, after referee Stuart Berry showed yellow cards to prop Nepo Laulala, Fonotia and wing Nemani Nadolo. However, the Sharks were their own worst enemies when flank Jean Deysel was shown a straight red card for a deliberate knee to the head of a prone opponent, reducing the home side to 14 men for the entire second half. The Crusaders picked up a full-house of five points for their victory, but stayed fourth in the New Zealand Conference. They did however move into sixth spot in the Overall standings. The Sharks left empty-handed, but stayed top of the South African Conference and third in the Overall log. In next weekend's Round 9 action, the Sharks travel to Johannesburg to face the Lions (Saturday, April 11 at 17:05), while the Crusaders head home to host the Highlanders (Saturday, April 11 at 09:35 SA time).